Android TV features a smart homescreen that recommends new content to you. You’ll also have access to Google’s voice search to find info about the shows you’re watching. In addition to video content, gaming is a big part of the Android TV strategy. You’ll be able to play multiplayer games, such as NBA Jam, on your TV against friends using Android tablets. Google also revealed that Android TV will include full Google Cast support so you can use it like a Chromecast device. 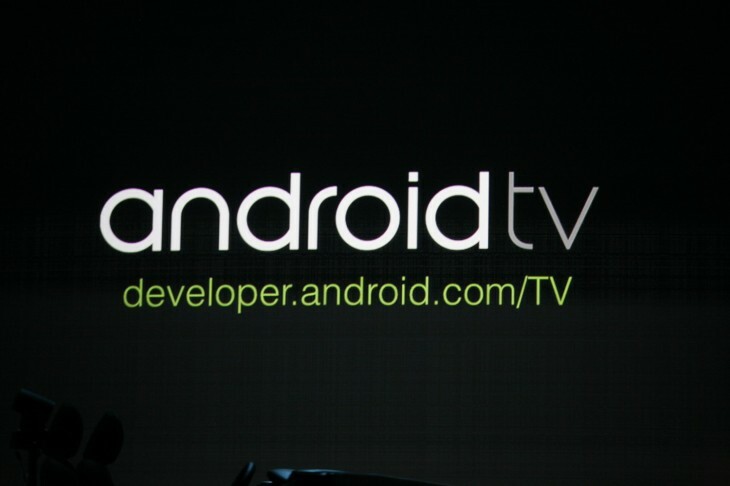 The Android TV store will launch this Fall. Sony and Philips have signed on to implement Android TV into their TV sets. Bouygues, LG U+, SFR, Asus and Razr are also on board as partners. Word of Android TV leaked out earlier this year, with the new platform reportedly focused on gaming. On the eve of Google I/O, one Android app developer accidentally posted an update with split-screen and safe-zone support for Android TV. Android TV joins the existing Chromecast platform as Google aims to gain more territory in your living room. The company’s earlier Google TV effort failed to pick up much steam. Hit up our Google I/O liveblog and our event page for the latest news coming out of the conference.